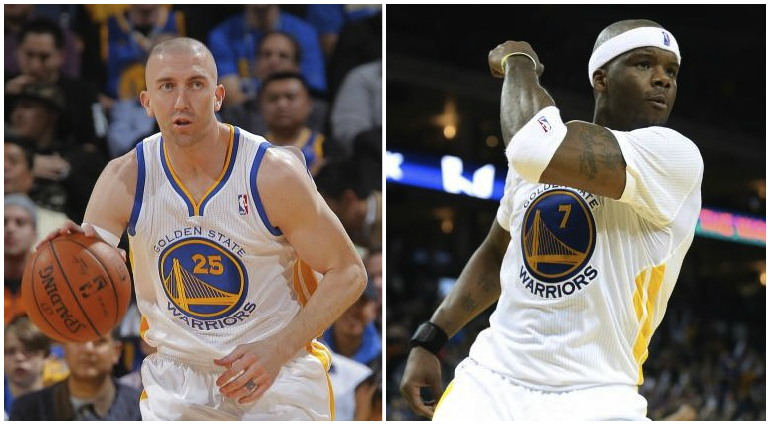 Steve Blake and Jermaine O’Neal have filled a deep void, on and off the court, for the Golden State Warriors this season. When the Warriors were unable to re-sign Jarrett Jack and Carl Landry in the offseason, they lost two players who were the heart-and-soul of the Warriors’ bench last season. 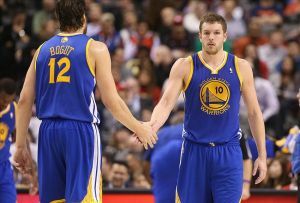 Jack and Landry were also a huge part of the Warriors’ miraculous playoff run. In Jack, they lost a backup point guard who averaged 12.9 points and 5.6 assists per game and who could run the offense, which allowed Stephen Curry to play off the ball. He also was a significant part of the Warriors’ team chemistry last season. In Landry, they lost a backup power forward who averaged 10.8 points and 6.0 rebounds per game. They also lost someone who was that low-post threat that added another dimension to their offense and that they severely lacked for a long period of time this season. After a short and ineffective stint of Toney Douglas and Marreese Speights taking over their roles, the Warriors are finally getting production from a backup point guard, Blake, and a backup big, O’Neal. The Warriors’ signing of O’Neal in the offseason was an under-the-radar type of move that many ignored or even criticized. Many said he was too old and too fragile to contribute anything to the Warriors. When the Warriors traded for Blake, many Warriors fans saw potential in the trade but focused too much on the loss of Kent Bazemore. Now that O’Neal is healthy and Blake is starting to settle into his new team, Warriors fans are finally starting to see the benefits of signing a proven veteran like O’Neal and trading for a hard-working, smart point guard like Blake. When glancing at these two players’ stats for this season, they aren’t necessarily jaw-dropping or as good as Jack and Landry’s from last season. O’Neal is averaging 7.6 points and 5.4 rebounds per game this season, and Blake is averaging 8.0 points and 6.4 assists. However, their contributions and their effect on this team are much greater than any stat can show. Read about O’Neal and Blake’s specific contributions to the Warriors this season and the rest of the article on Let’s Go Warriors. LGW: Golden State Warriors Passing: Best in the NBA? Are the Golden State Warriors the best passing team in the NBA? Scott Ostler of the San Francisco Chronicle recently asked Mark Jackson, Andrew Bogut, Jermaine O’Neal, and Steve Blake that question, and they all had similar answers. Coach Mark Jackson, past master of the assist, answered my true-false question with, “I would probably say, off the top of my head, true, because we have playmakers and good to very good to excellent passers. Ostler brings up an excellent point in the article that O’Neal touched upon also. The Warriors’ excellent passing could be partially attributed to their elite team chemistry. They all want to win badly, and that brings them closer to together. That underdog mentality and that never-say-die attitude breeds excellent team chemistry, which can take a team far. So what makes the Warriors such a good passing team? Well, first of all, all five of their starters are arguably elite passers, for their position. Stephen Curry is a creative, crafty passer who can pass well with either hand, Klay Thompson is a great passer out of pick-and-rolls, Andre Iguodala is also a creative passer who creates plays and can drive-and-kick, David Lee has great anticipation of what his teammate is going to do and when and how he should pass the ball to them, and Bogut, for a center, also has great timing and anticipation as a passer. Read more about the Warriors’ passing and check out some advanced passing stats in the rest of the article at Let’s Go Warriors. Since the All-Star break, the Golden State Warriors have gone 7-2. Part of the reason for the Warriors’ recent resurgence into playoff relevance is their bench play. After being heavily criticized for most of the season, the bench has been consistently productive and effective at maintaining or increasing leads in a game when the starters go to the bench. Much of this recent success by the bench can be attributed to Steve Blake. This was the perfect trade for the Warriors, because he can help the Warriors in so many ways. Off the court, he’s a great teammate, he works extremely hard, and he brings a toughness to the Warriors. On the court, he is an experienced point guard who can run an offense, create plays for his teammates, knock down threes, play defense, and can play off the ball too. Based on Blake’s recent production, Stephen Curry has gotten more rest. Curry appreciates Blake’s production immensely, according to Diamond Leung of the Bay Area News Group. Backup point guard Steve Blake has 21 assists and one turnover over the past five games, and his strong play has allowed Stephen Curry to rest more often. “My minutes are down, and I’ve been able to try to be more efficient, which is helpful,” Curry said. Another reason why the Warriors have had such great bench production recently is because Mark Jackson has been playing Blake, Jordan Crawford, Harrison Barnes, Draymond Green, and Jermaine O’Neal together. 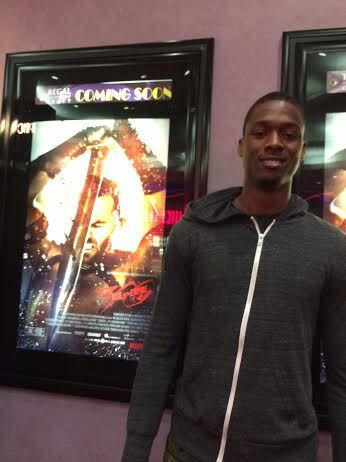 Could Screening Of ‘300: Rise Of An Empire’ Provide Golden State Warriors With An Athenian Push? 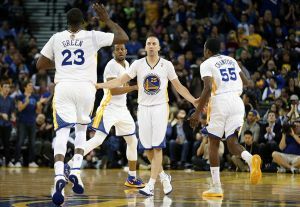 The Golden State Warriors prepared for their final push into the playoffs in an unlikely place. It wasn’t on the court during practice. It wasn’t during their recent 4-2 road trip. It was in a movie theater. Harrison Barnes, Jermaine O’Neal, Draymond Green and Festus Ezeli went to an advanced screening of 300: Rise Of An Empire in Oakland last night. The movie opens up in theaters nationwide today. You can learn more about the film at their Facebook or Twitter page. OK, so maybe the Warriors didn’t physically prepare for the last six weeks of the season by sitting in a dark movie theater, but perhaps they gained some inspiration for their push to the playoffs. The protagonist in the movie, Themistokles, is an inspiring, passionate leader who leads the Athenians into battle to protect their loved ones and their homeland of Greece. At one point in the movie, he brings his troops together in order to inspire some confidence before a battle where the Athenians are greatly overmatched. Themistokles says to his soldiers, more poetically than I can say, to not fight for a cause but rather for the man next to them. Whether they are battling on the court or going to see a movie together, this Warriors team truly enjoys being around each other. In fact, the newest Warrior, Steve Blake, said he has always been impressed with how close the Warriors players are on and off the court. Many of the Warriors players also share an underdog mentality, one of the reasons why this group gets along with each other so well. They’re a confident group, yet they’re often underestimated, just like the Athenians were. Because of this never-say-die attitude, the Warriors constantly have to prove themselves. O’Neal reminded his teammates of this during a game against the Toronto Raptors on Dec. 3. The Warriors were down by 17 at the half and were down by as many as 27 points during the third quarter. O’Neal felt the team needed a wake-up call. He passionately preached to his teammates at halftime about how this was the kind of game where they could make a statement. Unlike last season when the Warriors were able to sneak up on some of their opponents, the Warriors have had to play this season with hypothetical targets on their backs. The Warriors deserve to win, but that doesn’t mean they don’t have to fight for it. The Warriors undoubtedly have passion. 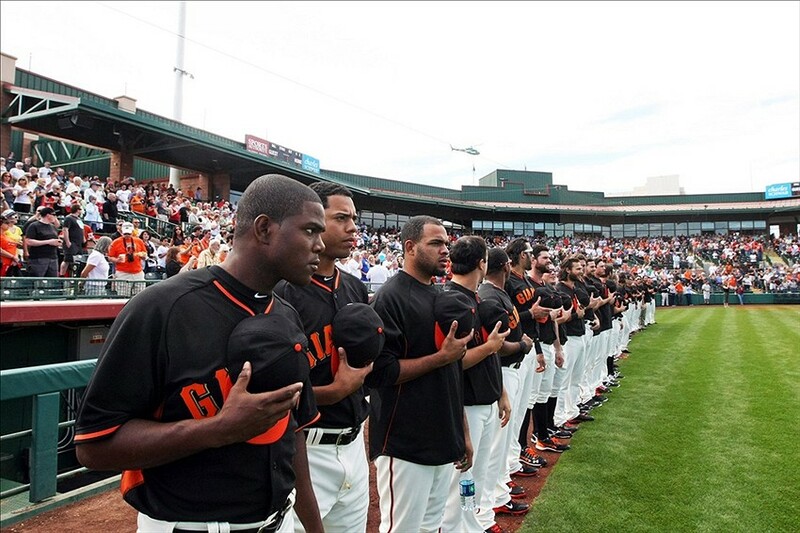 They have the heart, the character, the loyalty, and the teamwork that great teams possess. They are the underdogs that rise to the occasion. They are the comeback kids. They are like the Athenians that don’t give up and that fight until the very end. As metaphorical as this sounds, a simple outing to the movie theater between four teammates sheds some light on the Warriors’ impressive team chemistry, their determination, and their underdog mentality. The roar of the soliders in the movie might not motivate them quite as much as the roar of the crowd at Oracle at any given home game. The viciousness displayed by the Persians in the movie isn’t completely comparable to the viciousness of an Andrew Bogut block. The visual effects, the cinematography, and the overall beauty of the film might not be the same kind of beauty as a Curry three. It might be far-fetched to compare the Warriors to the Athenians … but the Warriors are warriors. They possess the same tenacity, fighting spirit, and underdog mentality that Barnes, Green, O’Neal, and Ezeli witnessed from the Athenians in 300: Rise Of An Empire. Just with a little less gore and bloodshed. Rally the troops and come root for the underdogs, because this Warriors team could make a statement in the final stretch of this season … in the movie theater and on the court. 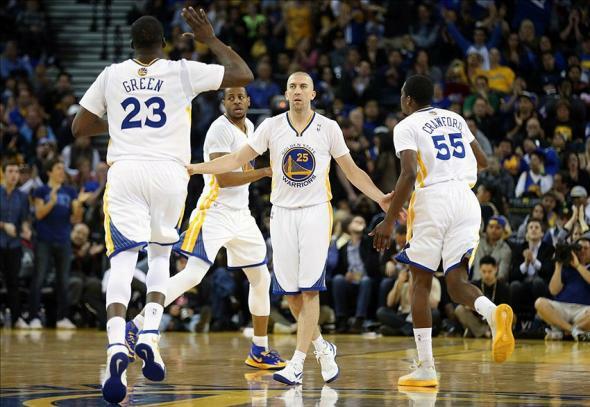 The Golden State Warriors have a lot to prove in the final six weeks of the season. During this final stretch, they will have to fight for a playoff seed, they will have to fight through fatigue, and they will have to find some consistency and momentum going into the playoffs. This season, as usual, the Western Conference is the more competitive conference, so it will be even tougher than usual for the Warriors to make the playoffs and gain a top-four seed. There are four teams who will most likely be battling for the last three spots in the Western Conference standings: the Warriors, Dallas Mavericks, Phoenix Suns, and Memphis Grizzlies. All four of these teams are currently within three games of each other, so the fight for a playoff spot will most likely come down to the last day of the season. The Warriors have 13 of their last 20 games at home, which they need to take advantage of, given the tight playoff race. There are some key matchups coming up in the final six weeks of the season for the Warriors. Next week, the Warriors face three quality teams who are all playoff contenders. They face the Suns at home on March 9th, the Mavericks at home on March 11th, and the Los Angeles Clippers at Staples Center on March 12th. The Warriors need to think of those first two games as must-wins, because of the proximity to both of those teams in the standings. The Warriors have had luck against the Clippers this season too, so if they can win all three of those games, that would certainly help their playoff chances. The Warriors also have a tough back-to-back at the beginning of April. They face the Mavericks in Dallas on April 1st and the San Antonio Spurs in San Antonio on April 2nd. Again, the Warriors need to beat Dallas, because they’ll be fighting for seeding. The Spurs beat the Warriors in the Western Conference semifinals last season, so the Warriors would like to make a statement to the Spurs in that game by beating them on the second game of a back-to-back on the road. In the final six weeks, the Warriors also face the Portland Trail Blazers, who are currently the fifth seed (one seed ahead of the Warriors), in Portland twice. Those games are big matchups as well. The Warriors have a favorable schedule for the final stretch of the season, given the amount of home games they have, but they need to improve in several areas in order to make a strong push into the playoffs. First of all, the Warriors offense needs to improve. The Warriors’ defense has been stellar, if not elite, all season. However, despite having many offensive weapons, their offense can become quite stagnant at times. The Warriors can become complacent on offense and settle for isolation post-ups, which can be effective at times but also eliminates any beneficial ball movement, which is one of their strengths. Their ball movement is what fuels their up-tempo offense. When they push the fast break, get in transition, and get shots before the opposing team’s defense can set up, the Warriors offense flows much better. Once they get into that rhythm, it’s hard to stop them. When they settle for isolation post-ups, it slows down the game. The Warriors need to play at a fast pace and force the other team to play at their speed in order to be effective. Stephen Curry, Andre Iguodala, and the Warriors’ frontcourt of David Lee and Andrew Bogut are all great passers, so the Warriors need to take advantage of this more. On offense, the Warriors also need to limit their turnovers, because this messes with their rhythm too. 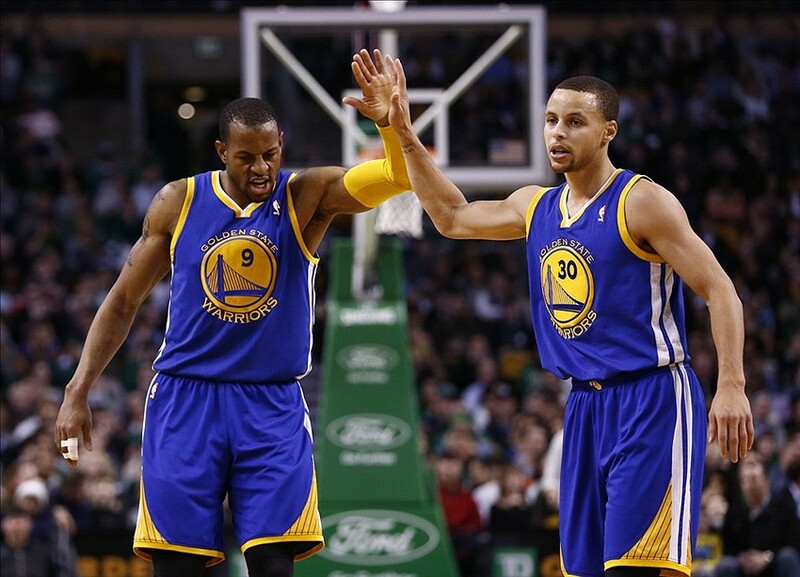 The Warriors can also find more ways to integrate Iguodala and Bogut into the offense. Iguodala has said that his hamstring still bothers him on offense, but he needs to find ways to be more aggressive and contribute offensively. Bogut can also contribute more than just on tip-ins and putback dunks. This would take some scoring pressure off of Curry, Lee, and Klay Thompson. Second, the Warriors need consistent production from the bench. The reserves were a significant reason why the Warriors were able to pull out a win against the Indiana Pacers on Tuesday. They allowed the starters to rest more than usual, and they out-scored the Pacers’ bench 34-11. Harrison Barnes is starting to find his groove as a reserve, Jermaine O’Neal has been a beast on the boards and on blocks and he’s a valuable, veteran presence in the locker room, Jordan Crawford is finding ways to score and contribute, Draymond Green is doing a little bit of everything, and Steve Blake has been the perfect fit for this bench unit. The Warriors have a lot of great pieces on the bench, so it’s just a matter of finding the right mix of players to play at the right time. Blake will certainly help in this area, because he is the type of player that makes the players around him better. Third, another reason why the Warriors need consistent production from the bench is to preserve their health. The Warriors have had a bad history with injuries, and they need to make sure they monitor Curry and Bogut’s minutes. Lastly, given all these areas, the Warriors need to find some consistency, in all these areas. Consistency is what breeds elite, championship contending teams, just look at a team like the Spurs. They’re the model for consistency and quality. The Warriors’ defense has been pretty consistent, so they need to maintain that. They need to find a consistent rhythm on offense though. If their bench can contribute offensively on a regular basis, this would give the Warriors an edge in many of their games. If the bench plays well, the starters get more rest, which will only benefit them when the playoffs start. Consistency is key for the Warriors. If they can establish some consistency, they will ride some momentum into the playoffs. The Golden State Warriors have potential to become a top-four team in the Western Conference. However, they must improve on limiting turnovers, especially the sloppy, avoidable ones, if they want to become a contender in the West. 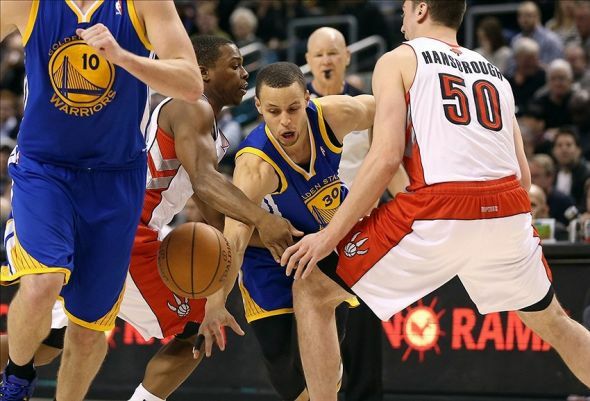 In Sunday’s loss to the Toronto Raptors, the Warriors committed just seven turnovers through the first three quarters. In the fourth quarter, the Warriors’ offense unraveled, and they committed six turnovers. 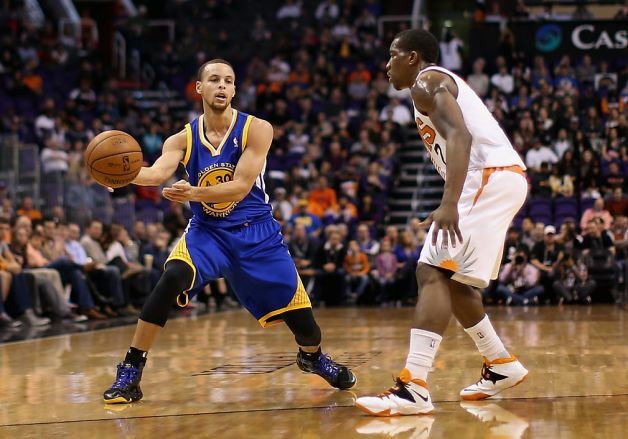 Despite scoring a game-high 34 points, Stephen Curry committed four of those six fourth quarter turnovers on Sunday. He finished the game with six turnovers. Curry understood that he needs to cut down on those timely turnovers. He has a high amount of attention on him on any given night, and he’s still learning how to respond. This is all in the process of becoming a superstar. Mark Jackson reiterated this point to Rusty Simmons of the San Francisco Chronicle after Sunday’s loss. Curry leads the NBA in turnovers this season. So far, he has committed 227 turnovers. Yes, this is a lot of turnovers, but he also handles the ball the majority of the time for the Warriors. Because of this, he’s bound to turn the ball over more than the average player because he’s in possession of the ball much more than the average player. He needs to find a way to cut down on the avoidable turnovers and the timely ones such as his fourth quarter turnovers. Unfortunately for the Warriors, their turnover problems don’t start and end with Curry. The Warriors commit 15.4 turnovers per game, the third most in the NBA. Read the rest of the article and find out how the Warriors can specifically limit their turnovers on Let’s Go Warriors.